This object is currently on display in room 107 as part of Tablescapes: Designs for Dining. See our image rights statement. See more objects with the tag interior, domestic, neoclassical, flowers, dining, silver, feet, diamond trellis. This is a Sweetmeat dish. It was designed by Jean-Baptiste-Claude Odiot and produced by Odiot and production directed by Charles Nicolas Odiot. 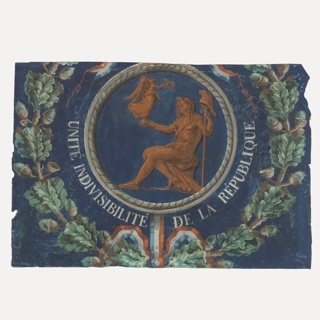 It is dated 1825–1838 and we acquired it in 1995. 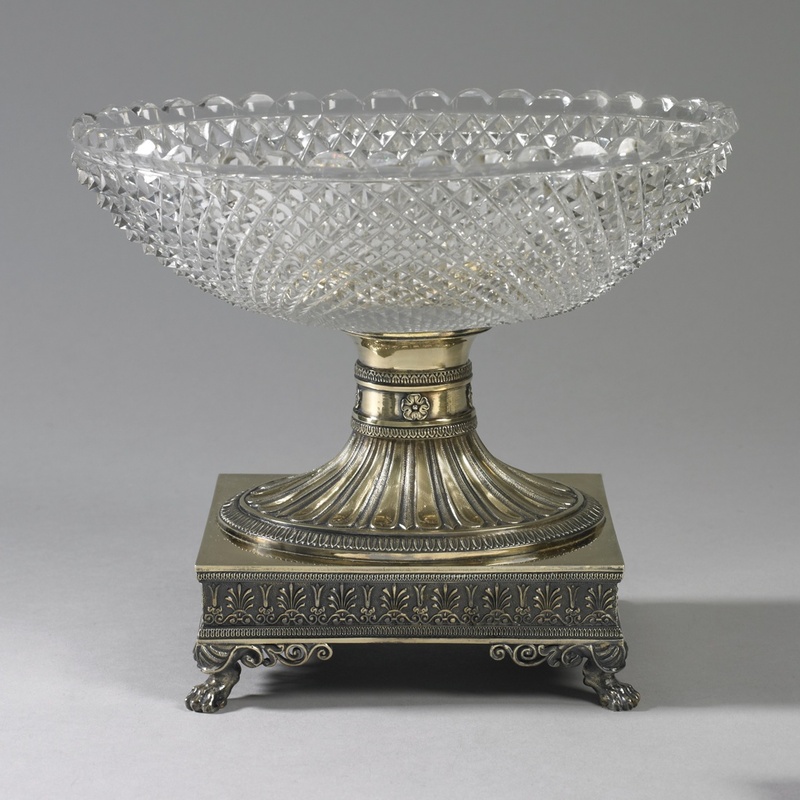 Its medium is cut and engraved leaded glass, cast, raised and chased gilt silver. It is a part of the Product Design and Decorative Arts department. It is credited Gift of Sarane H. Ross in memory of her parents, Catherine B. and Charles V. Hickox. On underside of stand: Silver standard mark for the years 1819-38 of 935 standard silver (just above sterling) (bearded man's head facing right) in elongated octagonal shield, ODIOT impressed letters, lozenge mark with O above an oil lamp, (Odiot firm mark starting in 1825).